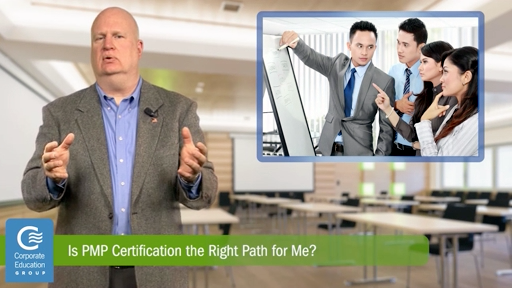 At some point in their career, almost every project manager finds themselves asking the question: should I make the commitment and get my Project Management Professional (PMP)® credential? Unfortunately, the answer isn’t always a simple yes or no. The truth is, the decision to embark on your PMP is a personal one and depends on your unique situation. Does project management methodology excite me? Is the PMP something I am willing to invest a lot of my time and energy into mastering? Do I hope to become a project management consultant or trainer one day? If you answer yes to this one, then the answer is clear as earning your PMP will be required. These days, it’s becoming more and more common for companies to demand the PMP credential of new hires. However, in some circles there is the perception that PMP-certified project managers are inflexible and must do everything by the book. This is why the decision to obtain your PMP is a very personal choice. If you’re currently working in an environment where your colleagues look to you for leadership, structure and guidance for project success, then it might be wise to pursue the PMP. But if you work at a large company where you intend to stay for many years and the company really doesn’t value the PMP certification, it probably doesn’t make sense to invest the time and energy to obtain the credential. So, before making the commitment, evaluate your professional situation and interests in order to determine if the PMP is the right choice for you.